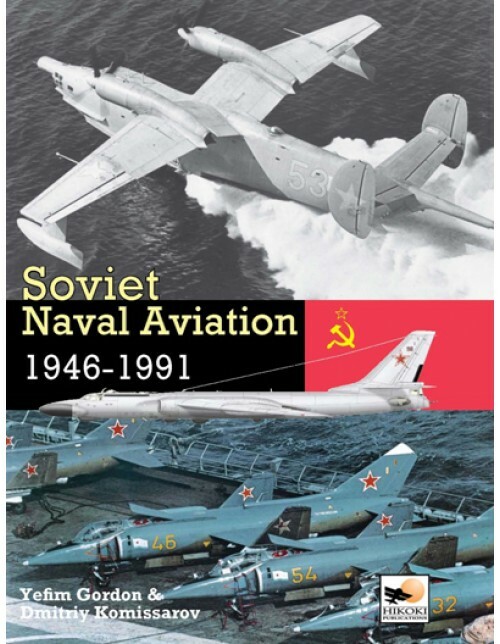 Along with a chapter devoted to the Soviet aircraft carriers, Soviet Naval Aviation is the definitive reference book of the Soviet maritime presence, both on the sea and in the air. Early in the 20th century, shortly after military aviation came on the scene, Imperialist Russia started using aircraft to support the operations of the Russian Navy. Rapid development of naval aviation continued after the October Revolution of 1917 and Soviet naval airmen flying fighters and torpedo-bombers made a significant contribution to the defeat of Nazi Germany in the Great Patriotic War. 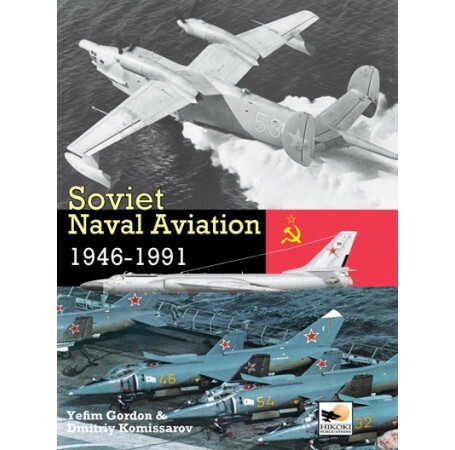 Yet the heyday of Soviet Naval Aviation (or AVMF) was in the post-war years. While in the late 1940s the AVMF relied largely on indigenous and American propeller-driven aircraft that had survived the fray, in the 1950s the naval airmen began mastering jets. The AVMF units started re-equipping with Il'yushin IL-28 Beagle twinjet bombers and were the sole operator of the Tupolev Tu-14 Bosun torpedo-bomber. In the 1960s the AVMF kept a close watch on the world's oceans with the help of its Tu-95RTs Bear-D long-range maritime reconnaissance/over-the-horizon targeting aircraft which transmitted the coordinates of NATO warships not only to the General Staff in Moscow but also to Soviet submarines armed with torpedoes. The AVMF's fighter element's primary mission was to protect Soviet Navy bases and naval task forces at sea and as technology progressed, the 1950s-vintage Mikoyan MiG-15bis Fagot-B and MiG-17F Fresco-C subsonic fighters were superseded by various versions of the supersonic MiG-21 Fishbed, MiG-29 Fulcrum and Sukhoi Su-27 Flanker fourth-generation fighters in the final years of the Soviet era.